The South Holland Lions Club meets the first of Thursday of each month, except in July and August at 6:30 PM at the American Legion Hall. This is a dinner meeting with a guest speaker. All club ac­tivities are governed by its officers and directors. Administrative funds for the club are maintained by a dues structure. Charity funds are maintained separately and no expenditure is made without the scrutiny of the officers and directors. Membership is by invitation. Lionism is not all work. It is a combination of dedication and fun. Charter Night and Installation Night are planned with the spouses in mind. Golfers enjoy our club Golf Outings and District tourna­ments. Bowlers participate in District Tournaments. Travelers can take in the District, State and International Conventions. CANDY DAY - This annual October event collects donations in South Holland with most of the proceeds going to the Lions of Illinois Foundation and the balance being retained for candy costs and distribution locally to visually im­paired residents. PANCAKE DAY - This has become a South Holland tradition, held on a beautiful May Saturday. The South Holland Lions raise money to support special projects or individuals who are visually/hearing impaired. CHILI DINNER – This dinner is a time when the community can come together for food, fun and fellowship. Money raised here is used for community projects. OTHER EVENTS – Pig Roasts, Steak Fries, Golden Book Sales and other fundraisers are used to raise funds to support our club or community betterment projects. EYEGLASSES PROVIDED TO THOSE IN NEED. VISION AND GLAUCOMA SCREENINGS AND REFERRALS FOR EXAMINATION. HEARING SCREENINGS AND REFERRALS FOR EXAMINATION. DONATE BLOOD AND SPONSOR BLOOD DRIVES. CHAIRS FOR FREE USE BY RESIDENTS. COLLECT USED EYEGLASSES AND HEARING AIDS FOR REDISTRIBUTION. BABE RUTH & LITTLE LEAGUE BASEBALL AND HOCKEY LEAGUES. PURCHASED INHALATOR & RADIO EQUIPMENT FOR EMERGENCY VEHICLES. HELPED HANDICAPPED CHILDREN WITH SPECIAL SCHOOL TUITIONS AND RECREA­TIONAL CAMP ENROLLEMENT. HELPED CREATE FIRST LIBRARY AND DONATED $3,000 TO PRESENT LIBRARY. SPEARHEADED THE DRIVE TO COLLECT $35,206 FORTHE FIRST PARAMEDIC VEHICLE AND PROVIDED FUNDS FOR ANOTHER VEHICLE. PARTICIPATED IN THE FUNDING FOR THE VILLAGE HALL AND VETERANS PARK FLAG PLAZAS. PURCHASED $13,295 XENON PHOTOCOAGULATOR FOR EYE SURGERY AT INGALLS HOSPITAL. PROVIDED MONEY FOR FLOWERS ON SOUTH PARK AVE. AND THE RAILROAD UNDERPASS ON ROUTE 6 AND TREES IN VETERANS PARK. FUNDED COMMUNITY CENTER CHILDREN’S DAYCARE ROOM AND GOUWENS PARK PLAYGROUND. PURCHASED THERMAL CAMERA, TRAINING ROBOT AND RESCUE SLED FOR FIRE DEPARTMENT. PURCHASED SPECIAL MAGNIFYING READING MACHINE FOR LIBRARY. 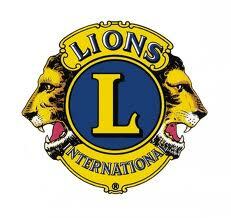 The International Association of Lions Clubs was organized in 1917 by Melvin Jones, a young Chicago insurance agent. The original organization of 25 independent clubs has grown to be the largest service club organization in the world, represented by over 34,000 clubs with a membership exceeding 1,306,000 in 150 countries and geographic areas. Our motto is "WE SERVE", and from the start the emphasis has been on service to less fortunate members of the community. Although active in many community projects, we place special emphasis on sight conservation and work with the blind, as well as hearing conservation and the hearing impaired and diabetes education. Blind­ness knows no geographic, economic or ethnic boundaries. All over the world, disease, malnutrition, ignorance and accidents plunge hundreds of thousands of people into the tragedy of eye impairments. In America, 10 million people have uncorrectable vision impairment. 700,000 Americans are legally blind. One of the intangible benefits of a Lion is the knowledge that we are easing the burden of fellow citizens both within our community and around the world. DIALOGUE RECORDED MAGAZINE FOR THE BLIND. UNIVERSITY OF ILLINOIS DEPARTMENT OF OPHTHALMOLOGY. In its largest project undertaking, the Lions of Illinois were committed to raising $5,000,000 to finance construction of the Lions of Illinois Eye Research Institute which is located on a site at the University of Illinois School of Medicine in Chicago. The South Holland Lions Club responded and donated $10,000 to the project dur­ing the early 1980’s. The Club has again responded with another $10,000 donation to the recent Sight First Program.